Location: At N side of St Mary's Church, within the Churchyard. Single-cell vaulted chapel standing above a raised and vaulted crypt. Probably C15 or C16. Restored in 1853, restored again by Elizabeth Mirehouse in 1862, rededicated in 1929. 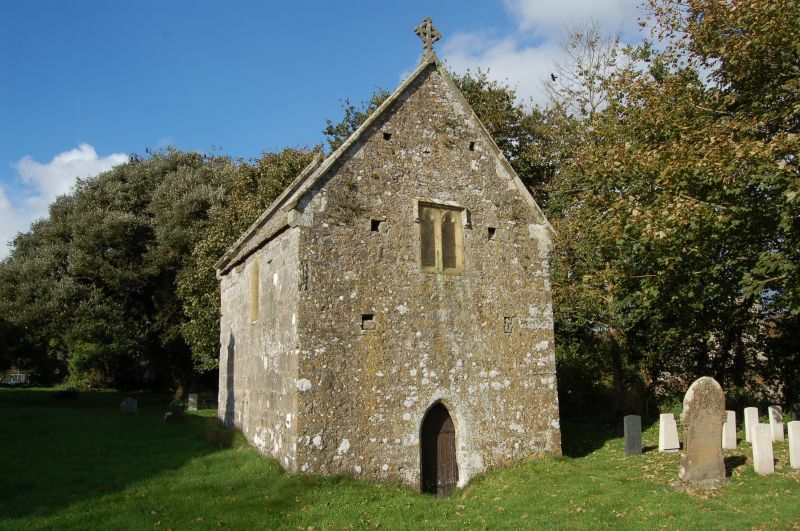 Now used as a Chapel of Rest, formerly used for receiving the corpses of drowned sailors. Also known as the Seamen's or Fishermen's Chapel. Good quality coursed masonry. Modern red tiled roof with C19 verge parapets and one finial cross of Celtic form. Small unglazed cinquefoil apertures to crypt at N and S. Crypt entrance at E. The chapel entrance is by a flight of steps at W. Single trefoil-headed window at S and a pair of similar lights at E.
Plain stone altar said to have come from St Twinnel's; surface tooling entirely modern. Simple small piscina. Some mediaeval encaustic tiles relaid in modern pattern within altar rail. Altar rail supported on pierced oak panels. Effigy of an unidentified ecclesiastic lies close to the S wall. Victorian stained glass; E window depicts the miracle of Christ walking upon the Sea. Remains of a Preaching Cross in St. Mary's Churchyard, at S side of the church. Formerly included in the listing of the church. About 100 m N of St Mary's Church, close to Castle Farm. At N side of village street, close to children's playground. At S of the village street, opposite the school. S side of village street, two houses E of The Globe Hotel. In field immediately N of Castle Farm.